Amazon As you can see at michael.chtoen.com I have built several professional websites on my own using the latest website development technologies. In this section I'll be talking about websites I am maintaining for other people. It lists the websites I did not build but am maintaining and making necessary technical changes from time to time. Take a look! The following gives you a screenshot and a summary of what each website does! To see websites I've developed please go to My Websites. Prader Willi Syndrome Association is a Taiwanese organization that endeavors to help patients with Prader Willi Syndrome live a better life. Tailwind is a biotech company that specializes in fish farming and breeding. I am maintaining the website. 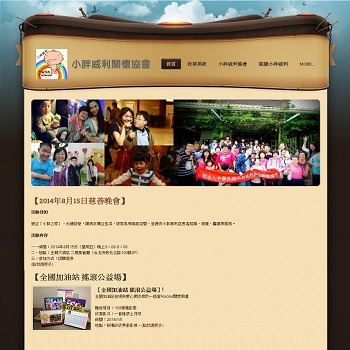 This is the website of an organization which runs the San Francisco Taiwanese American Festival every year. I used to be an organizer and I've organized successful fundraisers for them. Now I volunteer to maintain their website. Any comments feel free to let me know below! This website is Michael's official homepage. This program uses Google API to search for documents similar to the given one. This is a file merger program written in VB. This is a draught puzzle solving program written in C.